Iran men's national team has been held to a goalless draw against Syria to stay put at the top spot of its group in the third round of the 2018 Federation Internationale de Football Association (FIFA) World Cup qualification tournament. 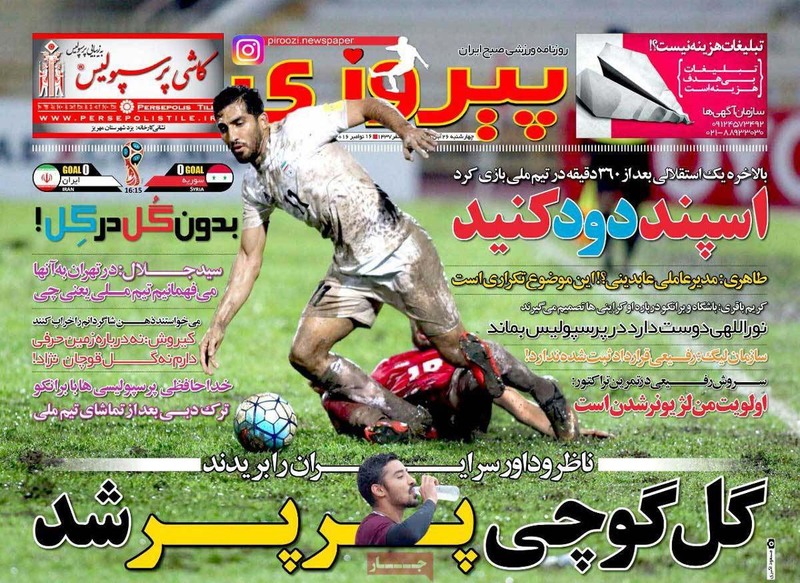 On Tuesday, Team Melli started its Group A match on the rain-soaked pitch of the multi-purpose Tuanku Abdul Rahman Stadium in Malaysia's western coastal town of Seremban in a fine manner, and Iranian midfielder Omid Ebrahimi sent a long ball to forward Mehdi Taremi in Syria's penalty area in the opening seconds. Syrian goalkeeper Ibrahim Alma, however, was quick to pick up the ball. In the fifth minute, captain Ashkan Dejagah opened up an opportunity for Taremi on the right-hand side of the field. 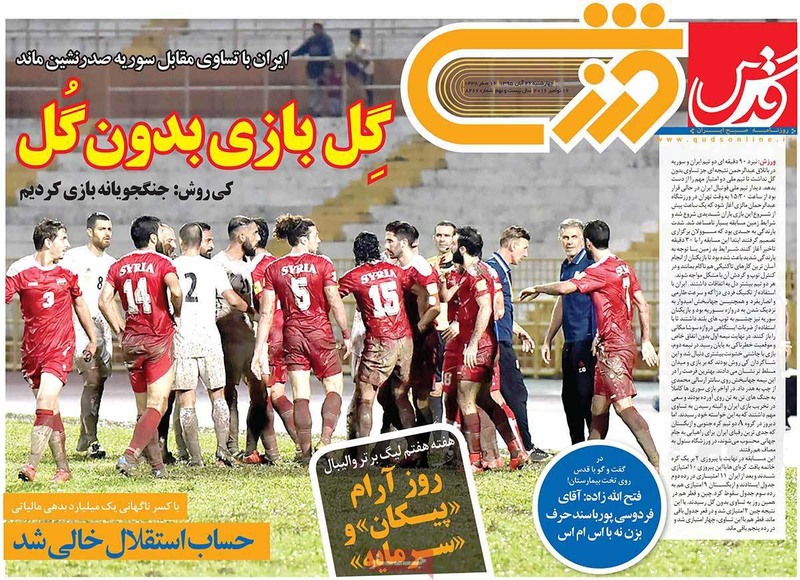 The 24-year-old Iranian player pounced weakly on the ball though, and Alma collected the ball. Syrian soccer players put on a better performance later on, and managed to circulate the ball more than their Persian counterparts. The Iranian side, however, continued to seek to win back ball possession. Dejagah got a wonderful chance behind the Qasioun Eagles' 18-yard box in the 26th minute, and kicked a low shot. The Syrian goalie subsequently stretched on the ground, and made a save to deprive the Iranians of a goal. In the 38th minute, Dejagah sent a high ball to his side's midfielder Saeed Ezatolahi in Syria's goal area (known as six-yard box). But Ezatolahi hesitated to get on target and lost the ball. 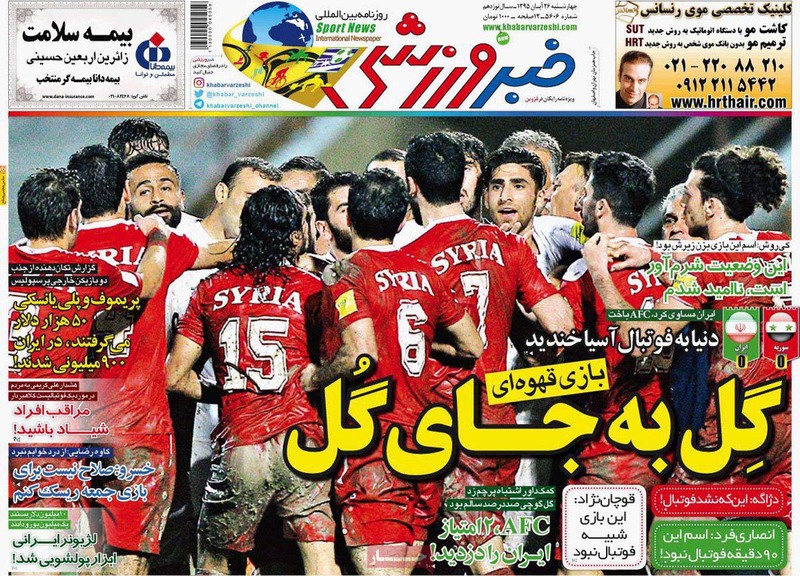 It was in the 45th minute that the Iranian outfit put the Syrian goal under pressure and managed to force a corner. Iran's defender Seyyed Jalal Hosseini received the ball, but could not place it into the net. The chance was squandered as a result. The Qasioun Eagles found a tremendous scoring opportunity right after the break, but Iran's goalkeeper Sosha Makani dashed the Syrians' glimmer of hope in a one-on-one position. 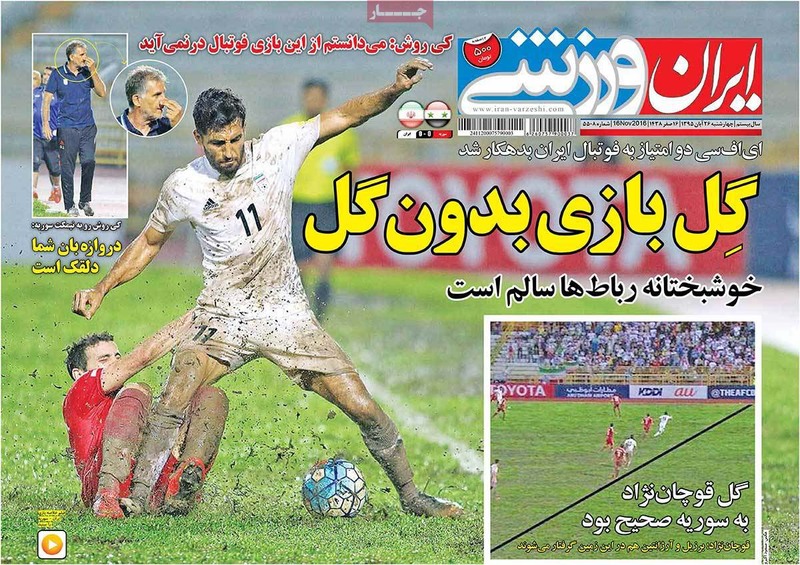 The rest of the second half was a rather drab affair, until Team Melli had a perfect scoring chance in the 87th minute. Iran's 23-year-old midfielder Alireza Jahanbakhsh struck an off-the-target header and the ball went out. 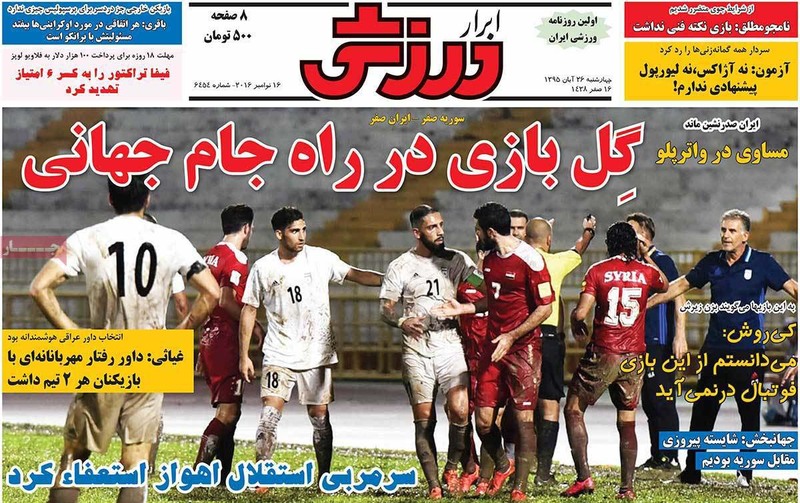 The Syrian players did not mount any attacks in the remaining minutes, and opted to roll the ball until the referee blew on his whistle and announced the end of the fixture.